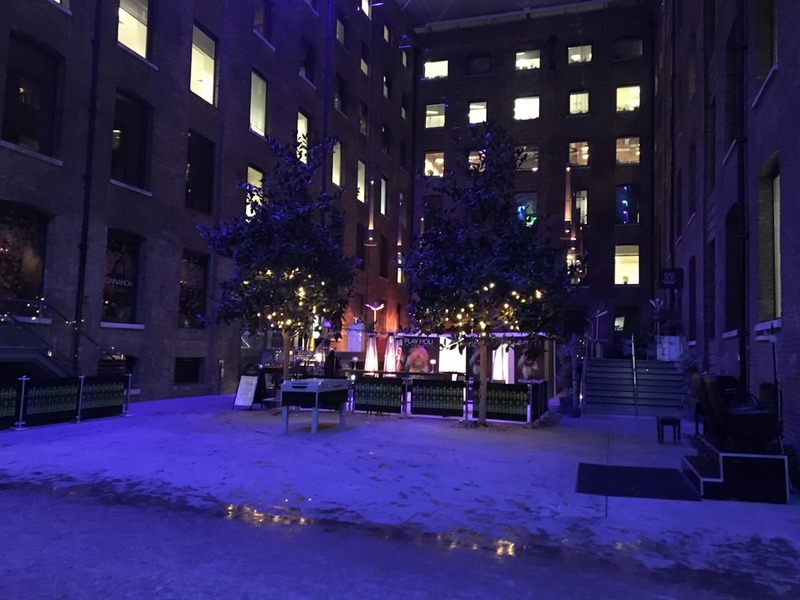 It’s Holi in the City time again – Cinnamon Kitchen’s House of HOLI Returns 6th – 21st March 2019. It’s the fifth year in a row that this fab event has taken place – I think we’ve been along most years! 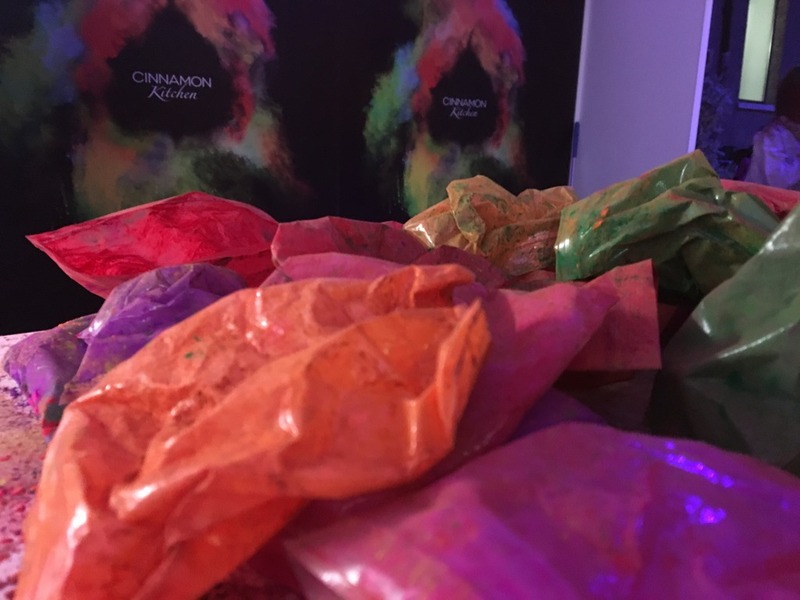 #HouseofHOLI returns to Cinnamon Kitchen in Devonshire Square. 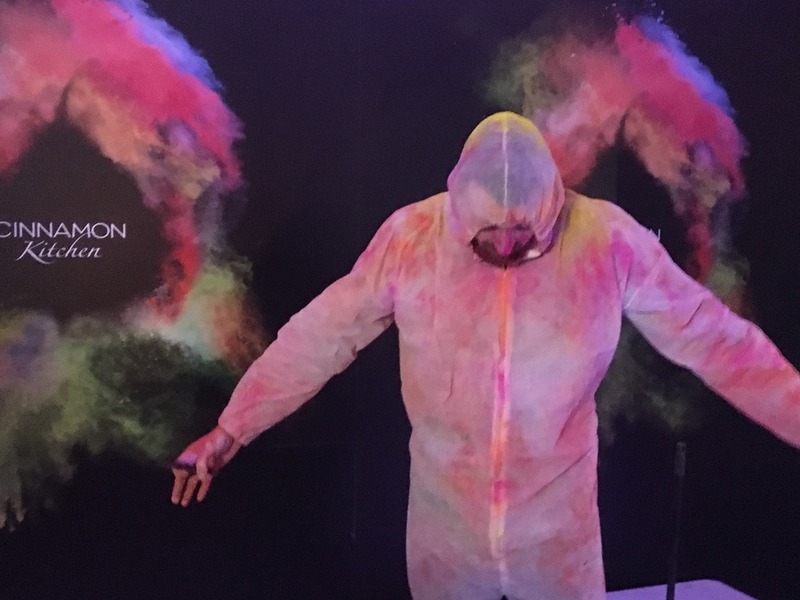 It’s your chance to leave the drab and dreary City at the door, don your protective white suit and step into the madness at the House of HOLI for thirty minutes of paint-pelting friends, family and colleagues to mark the Indian festival of colour. Alongside the paint throwing, there’s a feast of delicious dishes. 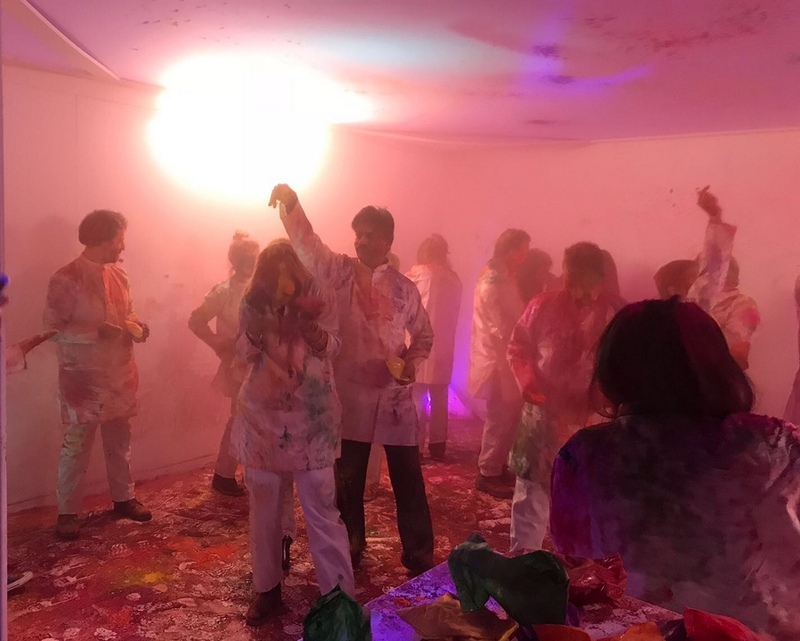 Cinnamon Kitchen will be serving up a spirited five-course #HouseofHOLI menu to enjoy after a round of paint-throwing for just £35 per person including your Play Holi session! A pop-up bar on the terrace will also be serving an array of vivid HOLI cocktails. 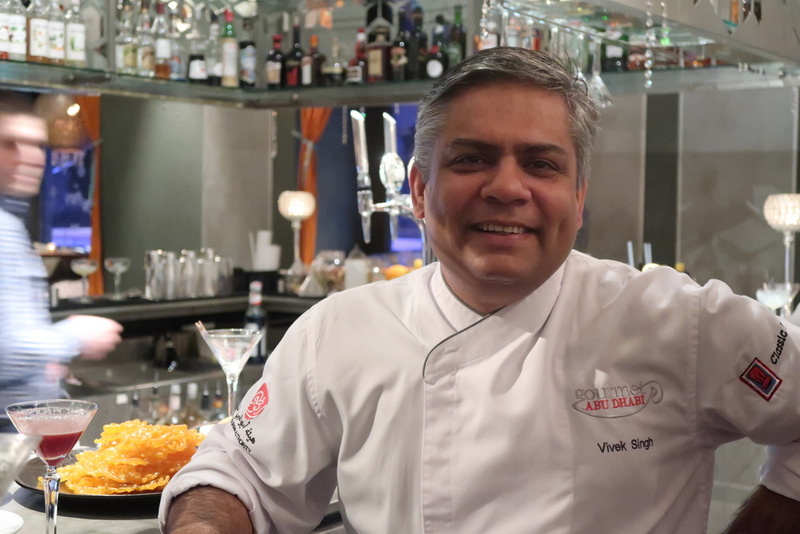 And this year, for the first time, Executive Chef Vivek Singh will also be throwing open the doors to his kitchen on 16th March with a one-off Holi Special Masterclass, priced at £225 per person. 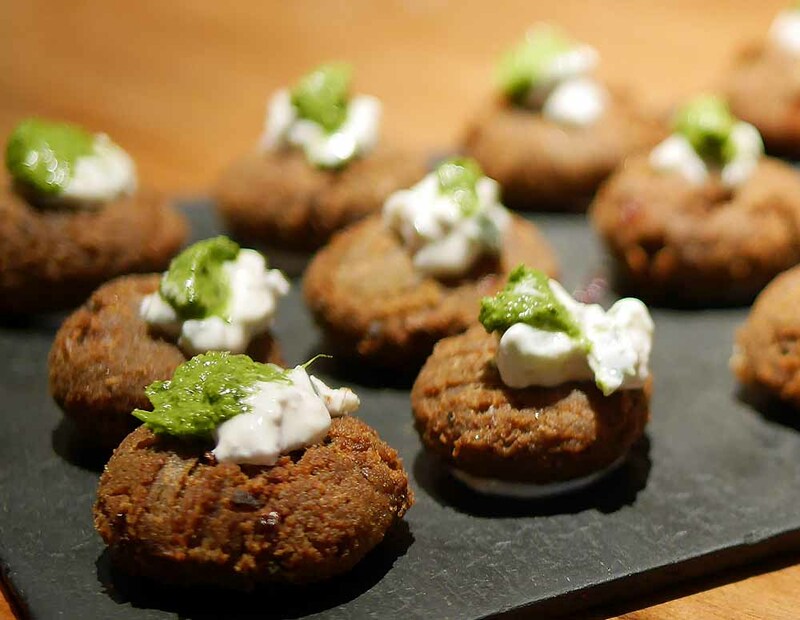 Led by Vivek, guests will explore the traditional and modern Indian cooking methods involved in creating the colourful snacks and street food often served during this celebratory festival, several of which are vegetarian. Play Holi tickets are priced at £22 per person, which includes a Play Holi session, a Holi cocktail or mocktail on arrival and three HOLI bites. Kids tickets (under 12 years older) are priced at £10. Here’s the link if you’d like to book. For large group bookings, please contact info@cinnamon-kitchen.com. Meanwhile, check out my review of last year’s event! “Having just returned from a trip to India and arriving back to London in the big freeze has been a bit of a shock to the system. 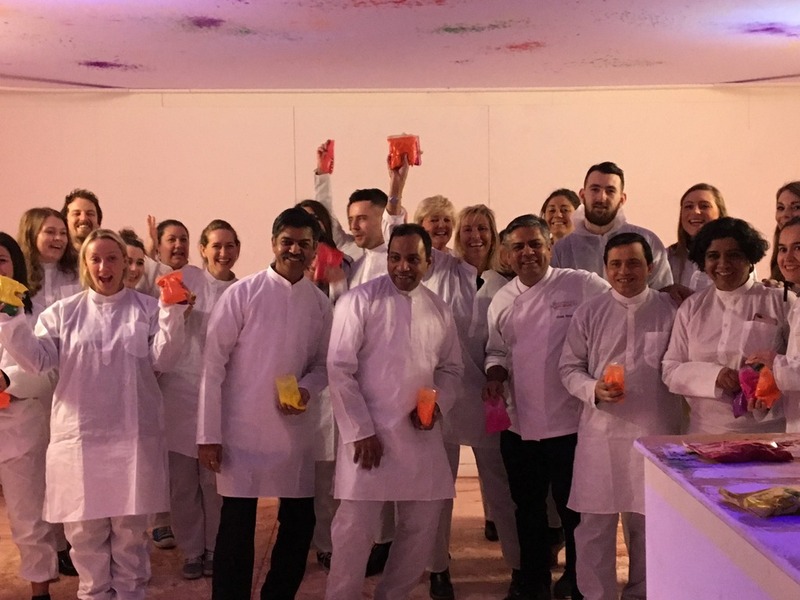 So I was delighted to be invited to spend an evening in Vikek Singh’s fabulous contemporary Indian restaurant Cinnamon Kitchen set in the urban environs of the Square Mile in London’s financial district to celebrate the Holi Festival in true Indian spirit. 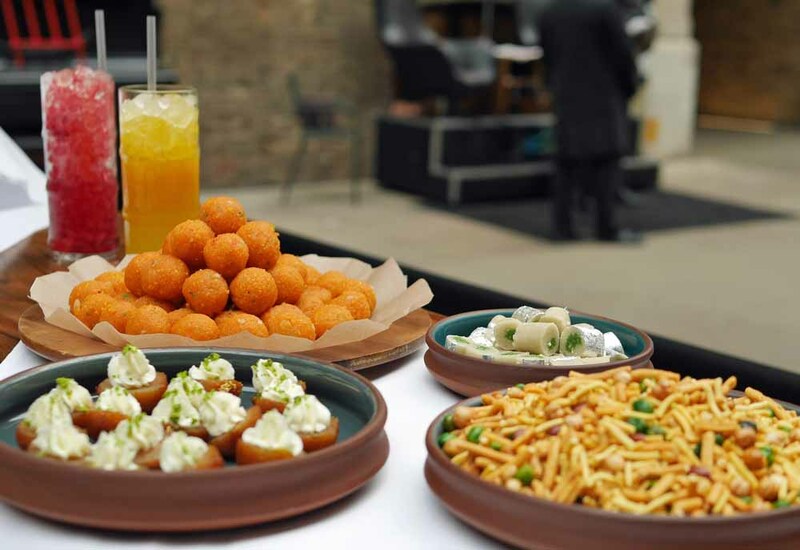 There’s nothing like a few cocktails, some mouth-watering Indian snacks and shed loads of colour to bring some warmth back into my life. Holi is an annual Hindu tradition observed predominantly in India, Nepal and South Asia but adopted across the world, including the UK. Holi Festival is also known as the festival of love, announcing the arrival of spring and passing of winter (sadly we’re not quite there yet!). It is celebrated each year around the vernal equinox, the date varies but is always marked on the full moon, starting with a Holika bonfire with singing and dancing. The next day, the streets explode with colour as people turn out armed with water balloons, water guns and dry coloured powder. Holi is traditionally a time where families and friends gather together to laugh and play and cover each other with coloured paint. I went along with my eldest son Milo to join in the fun. We arrived in a snow blast, so my delicious Neela Heera cocktail made with Bombay Saphire, fresh lemon juice, pear puree and apple juice went down a treat. Milo opted for a warming Holika Fire – a devilish combination of Bacardi, raspberry puree, lime and cranberry juice. We were served a feast of delectable bite-sized snacks including tender spiced pieces of chicken tikka, Panipuri made with tangy potato in a semolina shell, juicy chunks of Indo Chinese Hakka chilli paneer and my sons favourite lightly spiced mini lamb rolls. With our cockles warmed it was time to don our protective white suits, ready for the Holi to begin. There was great excitement in the air as we all headed to the purpose-built party pod and collected some bags of beautifully vibrant coloured powered paints. Before we knew it we were letting our hair down and paint pelting in a frenzied haze of colour and laughter. 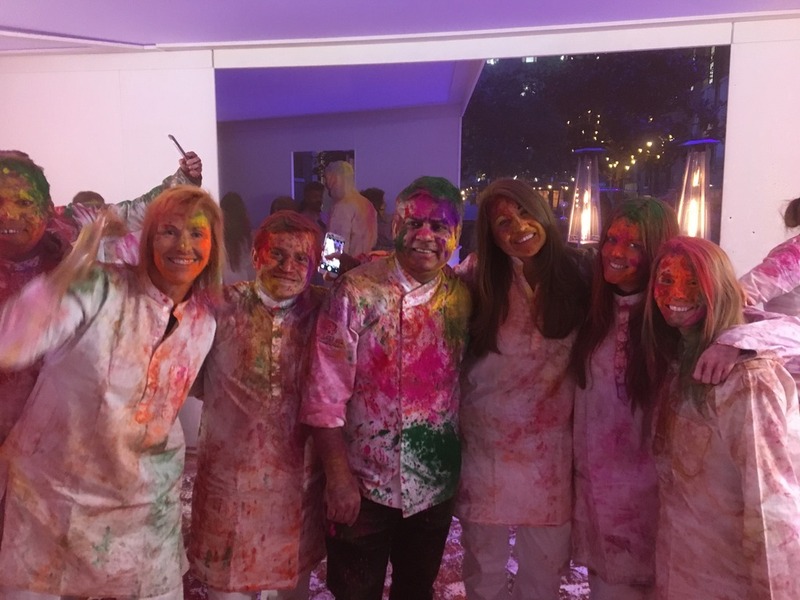 I would highly recommend heading to House of Holi with friends, family or colleagues for a wonderfully vivacious and celebratory experience. 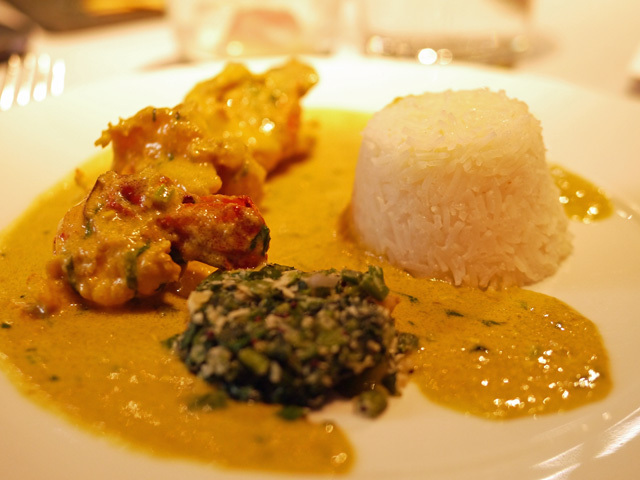 We’ve been going for a few years now – and are big fans of the food at Cinnamon Kitchen too.